In 1995, Les Sages Poètes de la Rue released their first album "Qu’est ce qui fait marcher les Sages". With the success of their first release, Les Sages Po’ formed Beat 2 Boul, in order to help the groups of their area make it in the industry. Amongst the groups were Lunatic, Malekal Morte, Mo'Vez Lang and Less' Du Neuf. 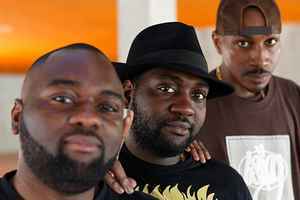 Beat de Boul released "Dans la Sono" in 1997 and les Sages Po’ came back the following year with their second album "Jusqu’à l’Amour". Les Sages Poètes de la Rue returned to the studio in 2002 for their third album "Après l’Orage".